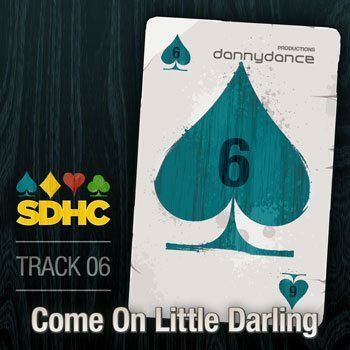 Danny Dance is a ballsy thing to call yourself but as soon as I heard “Come On Little Darling” f0r the first time I couldn’t hate. Nothing smoother on my Saturday night then this throwback sample wrapped in house beats and served still warm. What is even more impressive is that this isn’t some one-off, either. Danny Dance is 9 weeks into a 52 week project of making a track each week. This one is from week six and the others can be followed here. If the first episode of Peep Show teaches us anything it is that some people slave over a track for years and they are still crap. Mr Dance drops sonic nuggets like these on the regular. And for that we thank him. https://www.theburningear.com/media/2011/07/Danny-Dance-Come-On-Little-Darling-350.jpg 350 350 Brandon https://www.theburningear.com/media/2015/03/TBE-Header-Logo-2015-stack1.png Brandon2011-07-30 20:12:212011-07-30 20:12:21[MP3] Danny Dance - "Come On Little Darling"